ohhh what a stylish halloween theme!! 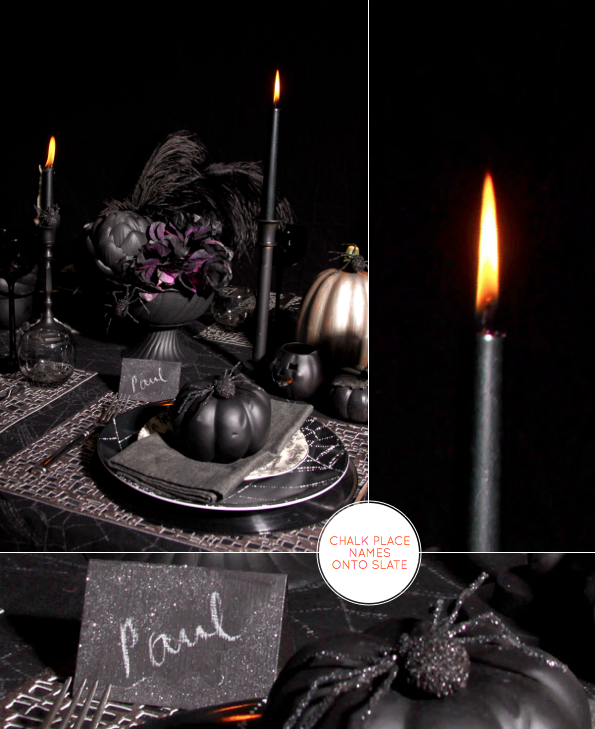 I love the slate chalk name cards! This has made me think that I can write on my slate coasters- great idea! I expected orange and red, typical autumn-colors when I read yor headline but this was a nice surprise! Very spooky and dark, just like Halloween should be (at least I guess so, we haven´t celebrated Halloween in Sweden för that many years). 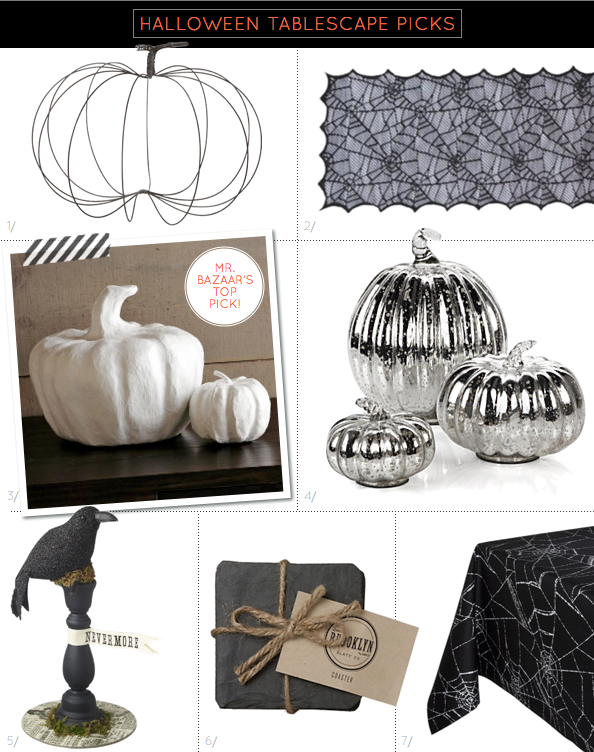 There are some great tips here and I am especially loving the silver pumpkins. 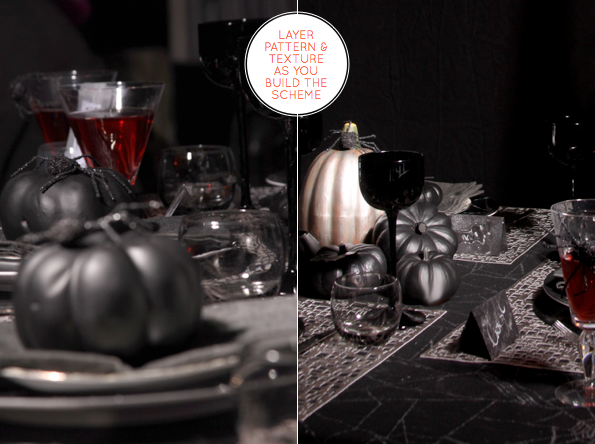 Love the idea of the really dark colour scheme! It is spooky!! Oh my!!! How spooky stylish is this!!! Leave it to fab Manvi! LOVE the black spray painted artichokes. Must try. This is absolutely amazing! I love everything about it. 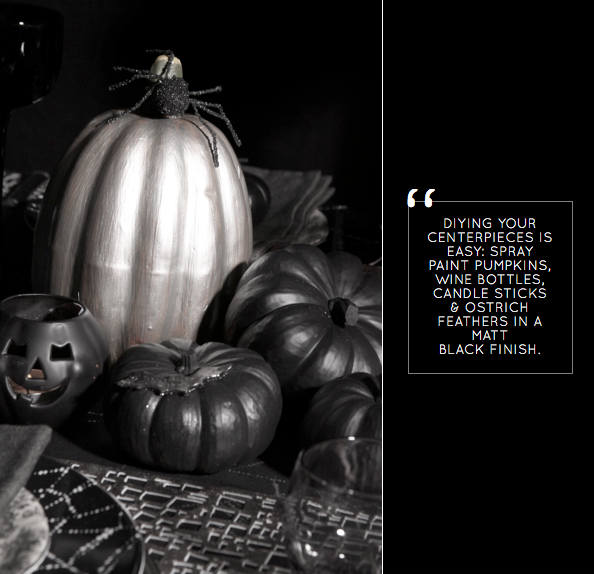 The matte finish to all the pumpkins is just perfect. o wow. i am LOVING all of the decorations and the dark theme! it looks gr8! This makes me excited for Halloween! Hello lovely Manvi! So fabulous that the two of you have teamed up. Black.. especially matte black is stunning. 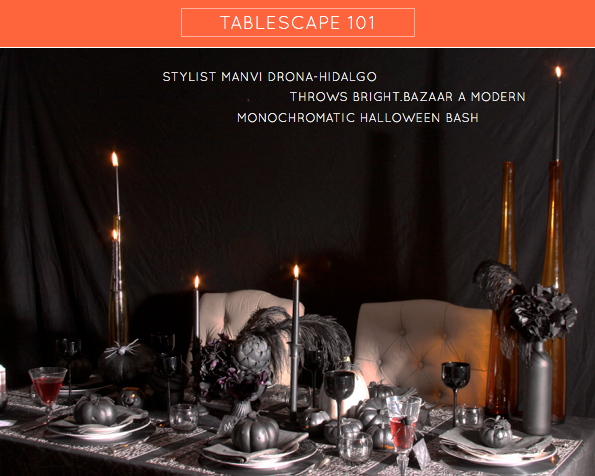 Lovely table Manvi and so many great tips. Double hugs from the top of the world. ah see thats what a Halloween part should be like! It’s a great collection of Halloween theme. Combination of color is really good and black and white really giving a great compliment. Love these ideas and picks! Amazing! 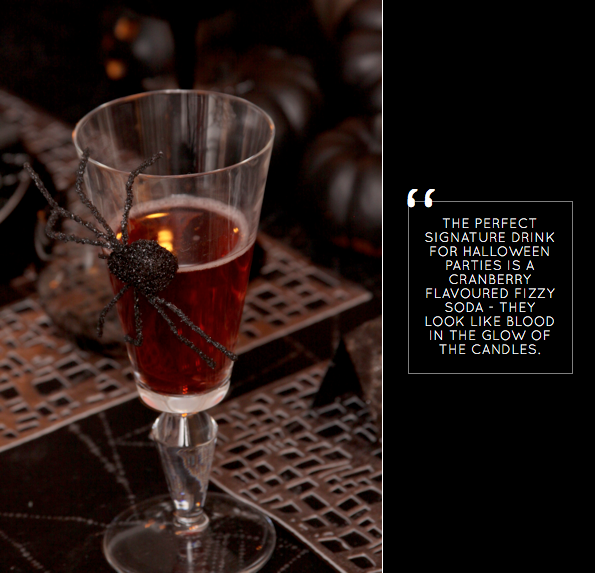 Would love to attend a Halloween party that stylish!